Interested on the Deda murex, pending photos-length? It's got shimano 600 brake levers, the ones with the drilling, SR bars stem and cranks, suntour rear derailleur, Ritchey vantage comp rims on some silver hubs (miche I think), Kashima professional leather saddle... Apparently some of them weren't sold with the full shimano 600 groupset as the 1979 brochure claims as I've seen a couple going on ebay with the exact same mix of components as mine. 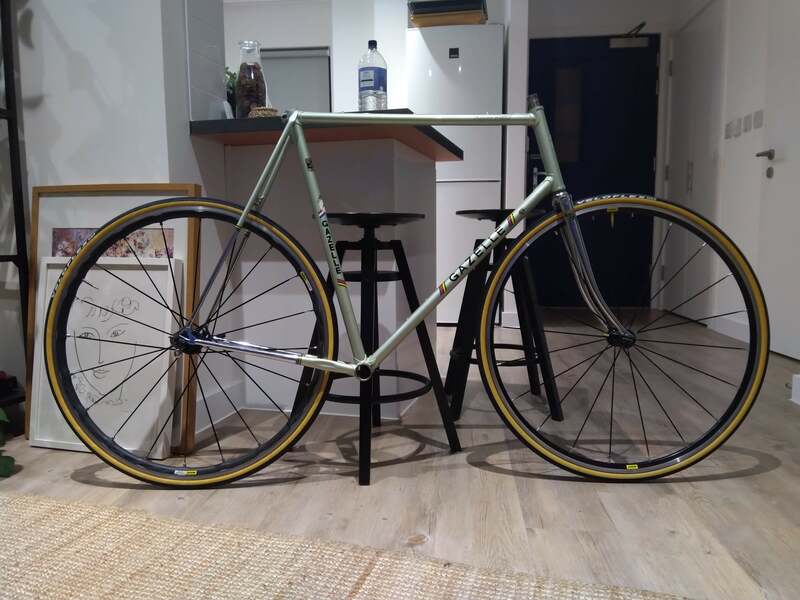 I've reluctantly decided to sell this miyata as it is a bit small for me (6'2). Frame is a 59. It is a lovely ride, and a quite nice colour. Frame shows it's age though, still original paint from 1980. Selling a San Marco Concor Racing Wide, all black.